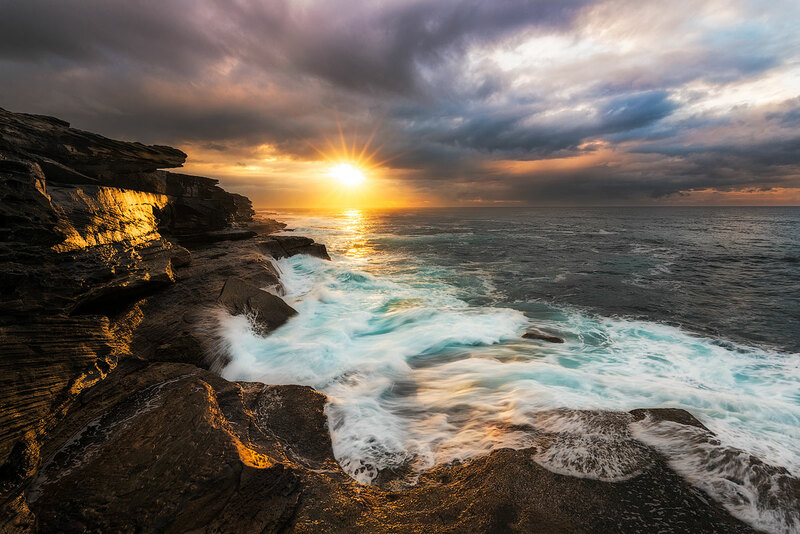 Sydney is one of the best places in the world to capture a sunrise over the ocean. It is east facing and also has tons of coastal features such as coastal cliffs, picturesque hills, beaches, rock platforms and other goodies. So, every now and then I go to the cliffs to get some ocean sunrise pictures with the Sun rising from below the horizon. Sometimes, I just stand there in awe not even doing any photos. There is some magic about the sunrise in general, you know. But when we add some body of water, ocean or the sea to the equation, it doubles the output! I can’t find the right words for it. What’s another word for best – breathtaking, stunning, mesmerizing? I don’t know and never think of it while watching the beauty of the nature in total awe. Let me explain my feelings. The ocean is big and powerful and is full of surprise. Typically, at night it can be even a little scary. You hear its rumble and feel the spray coming from the wave crashes. It is dark and moody. And then the Sun is coming out painting wave crests with soft orange strokes, filling the air with warmth and sparks of happiness. This contrast effect is the one that doubles the magic and the overall positive vibe. Totally worth it to wake up in the middle of the night. And later, looking at your sunrise over ocean images, you’ll have a flashback to the same feelings and mood. When I feel down, I browse such images to get well. Typically, the best sunrise spot is the East-facing one overlooking something flat like the body of water. Browse over the Google maps to find any suitable locations in the area. The slight angle is perfectly fine, i.e., if the coast goes towards NE or SE, it’s still fine – because the side light will make the coastline look fantastic. But any location still requires a research – does it have a clear view, does it have any nice features, etc. 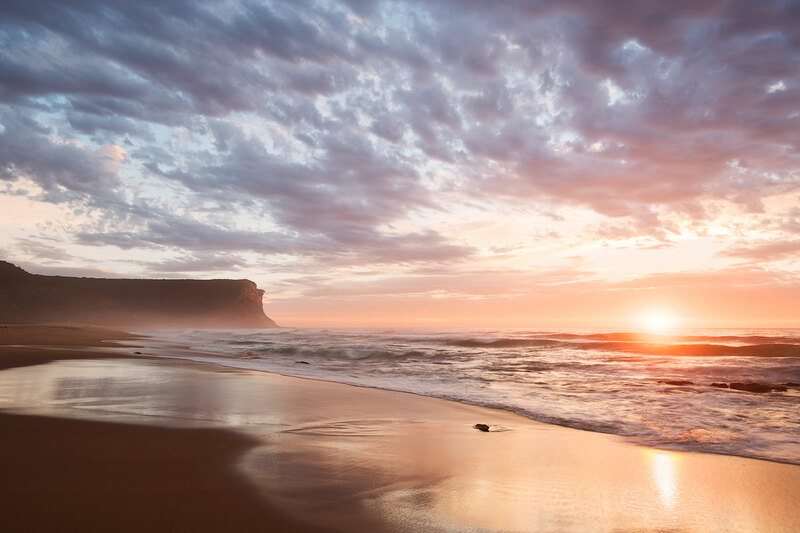 For Sydney, I have created a handy guide with the Top 6 Sunrise Spots. Check it out if you are interested in the subject. It has maps, photos and general tips. I have decided to share some of my most inspiring ocean sunrise pictures with you hoping they would transfer the feeling and the mood to you. The Sun rising over the horizon is one thing that inspires me beyond measure. It is also known to have a healing effect, clearing body and mind and filling you with the energy of the beginning. 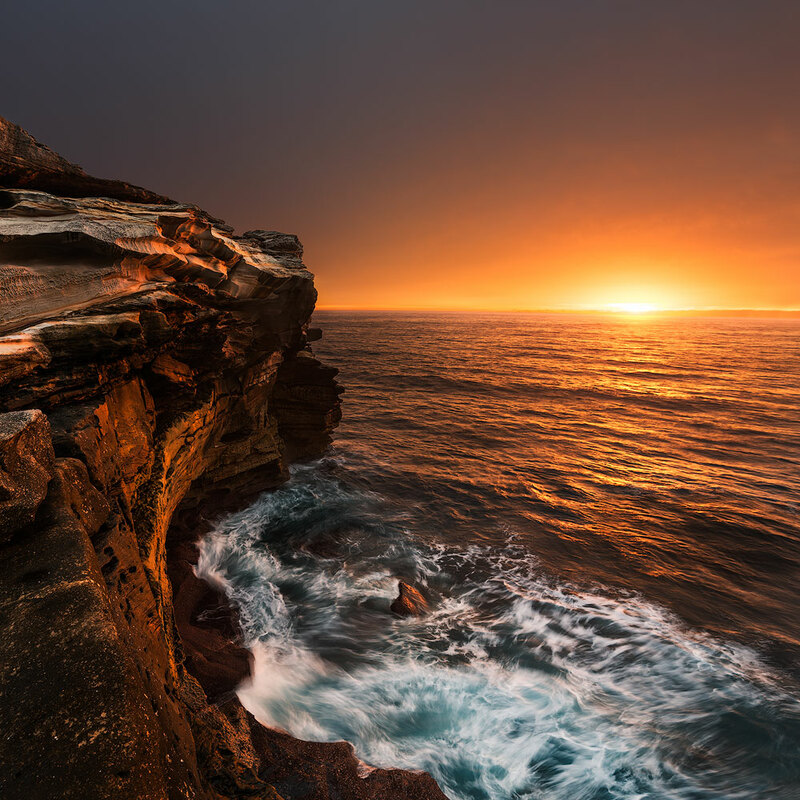 I have created a slideshow with the best matching photos featuring the Sun and the ocean. Please have a look and let me know what you think! 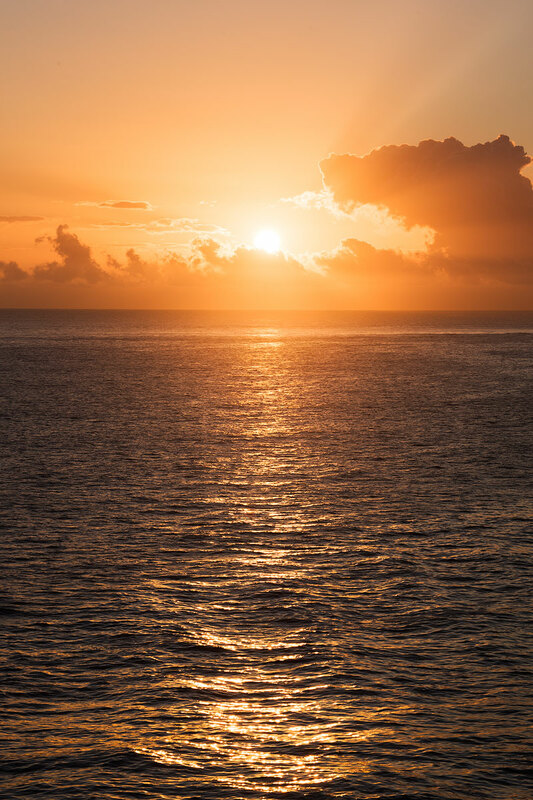 A collection of images featuring sunrise over the ocean. I tried to select the photos with the most prominent and vibrant mood and appearance of the Sun.